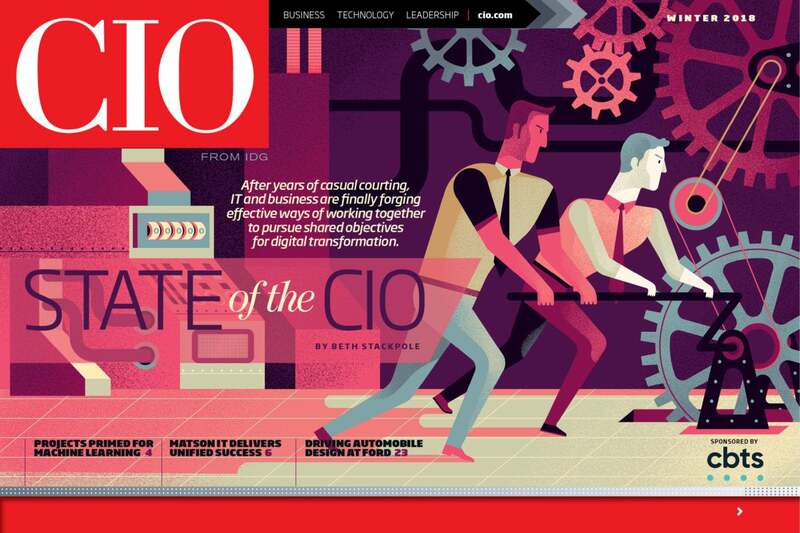 The 2018 State of the CIO survey found stronger cooperation and better alignment between IT and its LOB partners, especially as digital transformation initiatives heat up. With AI becoming strategic, look for projects that can give you quick business wins. Food-service company HMSHost harnesses cross-channel data to optimize dining experiences for hungry travelers. IDC estimates spending on digital transformation will exceed $2 trillion in 2019; 40 percent of all technology spending will be for digital transformation technologies. Your IT resolution for 2018: build better budget habits. Microsoft's HoloLens is transforming several of Ford's design processes. Here's an inside look. Resister now to download this issue, featuring our 2018 State of the CIO research.